We are pleased to announce the launch of the two new websites. 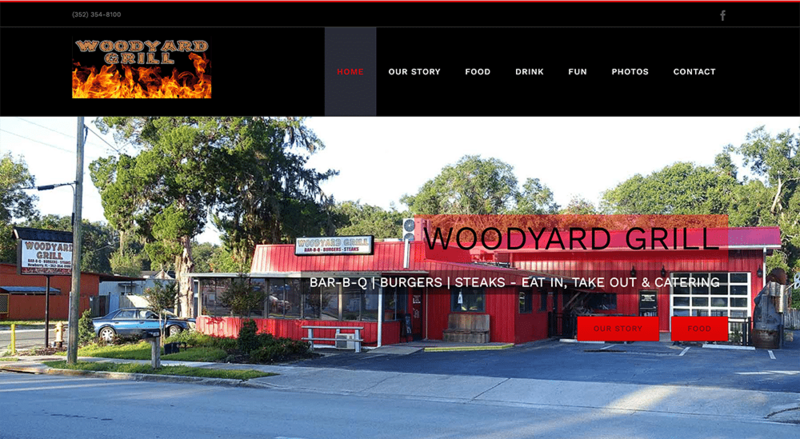 First off, we launched a new WordPress responsively designed website for Woodyard Grill restaurant of Newberry Florida. The restaurant features the best barbecue, steak and burgers as well as having fabulous entertainment each week. We’ve also built a new WordPress e-commerce site for Door to Door Dental of Boston. They are the leading provider of disposable dental supplies. RooSites is happy to launch a new responsively designed WordPress website for Brand New Day Retreat. Brand Architect and CEO Whisperer Larry Gulko has created the first private, brand-building and strategic marketing retreat designed specifically for individual companies and organizations looking to take a fresh look at the current state of their brand and determined to bring it to the next level.